We are looking for reports from the Raw show in Rotterdam, Holland which is the final night of their tour, Smackdown in Stockholm, Sweden and NXT in Dade City, FL to newstips@wrestlingobserver.com. Fight Pass at 6:30 p.m. The Smackdown European tour ends on Sunday in Copenhagen, Denmark. We're also looking for reports on Sunday from the final War of the Worlds show, (Marty Scurll vs. Kushida for TV title, Cody vs. Frankie Kazarian, Tetsuya Naito & Evil & Seiya Sanada & Bushi vs. Bully Ray & Mark & Jay Briscoe & Dalton Castle, David Starr vs. Josh Woods plus Christopher Daniels, young Bucks, Hirooki Goto, Hiroshi Tanahashi, Gedo, Will Ospreay and Jay Lethal), a TV taping in Philadelphia at the 2300 Arena. Raw will be Monday in Newark, NJ featuring Dean Ambrose vs. The Miz for the IC title. No Braun Strowman advertised on the show. Kurt Angle is advertised to return. There is no Monday night Smackdown house show this week. Smackdown will be taped on Tuesday in Manchester, NH for the go-home show for the Backlash PPV. While it wasn't entirely revolutionary, the two-part "Who is Roderick Strong?" series that aired on NXT television over the past couple of weeks again proved how effective WWE's video profiles can be in getting characters over. Similar videos have aired in the past (with a series that focused on Finn Balor in NXT standing out as a highlight), but the profiles on Strong may have been the best that WWE has ever done. They made him feel like a fully formed character in a way that he never really has before. Subscribers click here to continue. It’s another double issue of the Observer out this week, with more of a look at the WWE business in every category, how the Braun Strowman injury affects booking, the death of one of pro wrestling's leading historians J Michael Kenyon, New Japan's direction, the life of Gran Apache, UFC business, indies and the WWE ratings declines. Look at the current WWE finances, WWE network subscriptions, television revenue, how much WWE takes in for Total Divas, comparing this year's WrestleMania to last year when it comes to network subscription growth, how many people added and canceled subscriptions to the network in the first quarter, revenue and expenses regarding adding new events on the network, what categories is the company losing money in, and the interesting stats regarding social media users and where they are from and where the money for WWE comes from. Read about the realities of WWE attendance, merchandise sales, ticket sales, the value of the band extension, and a chart showing where the actual profits have come from in WWE over the past five years. Examine the Strowman situation, the next couple of PPV shows and how the planned Raw main event scene has been changed. Check out New Japan's big shows over the next month, including a major storyline that starts next week, the full lineups for the Best of the Super Junior shows, what shows will be in English, a rundown of the Dontaku show in Fukuoka, and more thoughts on the Long Beach shows. There is an update on the Hardys situation, Dwayne Johnson's first movie with a pro wrestling backdrop, Johnson for President, WWE announcing for new shows, plans for the women's tournament and the highlights of the first U.K. shows. Also, look at the WWE injury updates, how ratings for other sports and their drops are comparing with WWE, a major new WWE sieging, and details on two lawsuits against WWE including one that has potential major implications for current wrestlers. At press time, exactly what is going on between WCW and ECW regarding current ECW heavyweight champion Mike Awesome is apparently up in the air. In a strange series of circumstances, it appeared that Eric Bischoff and Vince Russo, in their attempt to re-create the debuting impact of Nitro in 1995 with Lex Luger's surprising walking on the set, combined with the incident where Madusa threw the WWF womens title belt in the garbage can, since they were unable to secure any WWF talent, made a huge pitch to garner ECW's heavyweight champion. 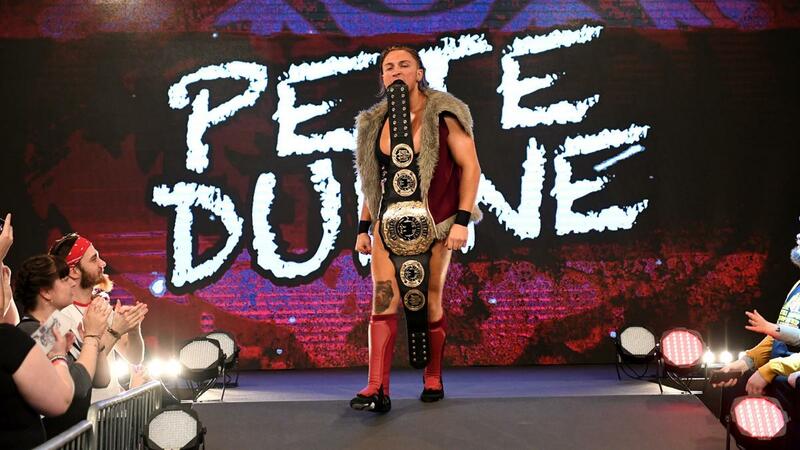 The first "UK Championship special" is listed to air on the WWE Network at 8 p.m. ET this coming Thursday. The show is 90 minutes long and Jim Ross and Nigel McGuinness were previously announced as the broadcast team for it. The specials will feature footage from WWE's tapings in Norwich last weekend. Dwayne "The Rock" Johnson will be on "The Tonight Show" with Jimmy Fallon on Thursday night. Brie Bella and Daniel Bryan thanked everyone for their support on the arrival of their daughter. Cena was the guest on Variety's "Playback" podcast earlier this week. Today's WWE top 10 list on YouTube is about public betrayals. The Sun has an article on Adam "Flex" Maxted getting a WWE tryout in the UK. In addition to the tournament to crown the first IWGP United States Champion, NJPW has confirmed that the IWGP Heavyweight and Intercontinental titles will be defended during the company's weekend in Long Beach in July. Hangman Page is the second official entrant in the IWGP US title tournament after Jay Lethal was announced yesterday. Marty Scurll joined the Bullet Club at last night's ROH War of the Worlds pay-per-view. There was an angle after Adam Cole's match against Hiroshi Tanahashi that included a pre-recorded video with Kenny Omega. Scurll joined him in the video and then appeared with The Young Bucks in the ring as the three took out Cole and fired him from Bullet Club. Scurll will be headed to NJPW for the Best of the Super Juniors tournament, which begins on May 17th. 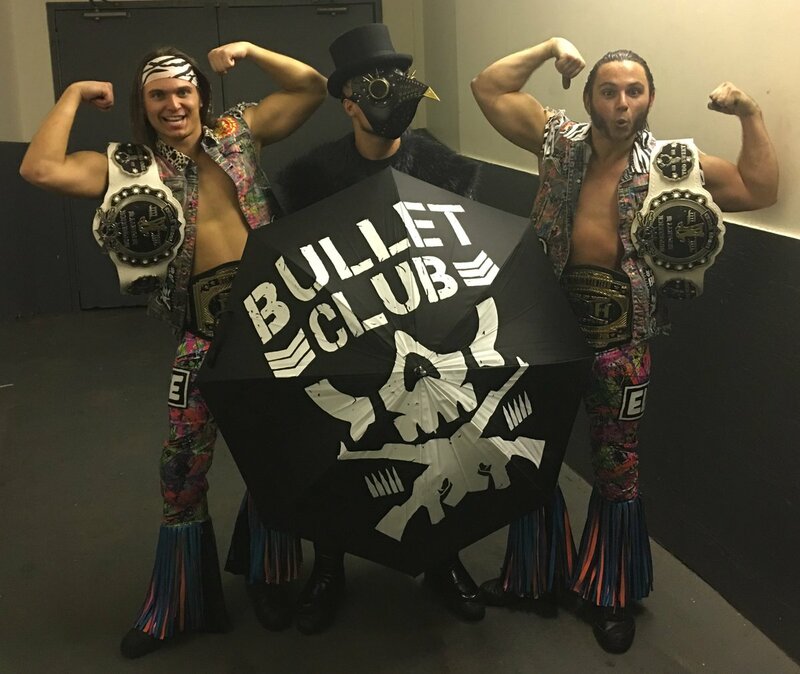 The latest episode of The Young Bucks and Omega's "Being the Elite" YouTube series focuses on Scurll joining Bullet Club. The former Simon Gotch was backstage at last night's ROH PPV. He came to terms with WWE on his mutual release in April and is now going by the name "Simon Grimm." PWInsider first reported that he was backstage at the show. This week's episode of Impact averaged 309,000 viewers on Pop TV. That's up from last week's average of 260,000 and can likely be attributed to lesser competition from the NBA playoffs. Today marks 17 years since Jumbo Tsuruta's passing. Rip Rogers drew a lot of ire on Twitter today for a tweet that was critical of modern indie wrestling. He later got into a cordial conversation with Will Ospreay. Daniel Cormier vs. Jon Jones for the light heavyweight title has been confirmed as the main event of UFC 214 in Anaheim. Dana White revealed the news and said that Jimi Manuwa will be fighting on the undercard in case something happens with one of the fighters in the main event. With his fight against Cody Garbrandt at UFC 213 during International Fight Week in jeopardy, TJ Dillashaw lobbied to fight Demetrious Johnson for the flyweight title instead if Garbrandt isn't able to make the show. White said that Garbrandt vs. Dillashaw is still on as of now with Garbrandt heading to Germany for stem cells. He mentioned Dillashaw wanting to challenge for the flyweight title, but Johnson told MMA Fighting that he isn't interested in fighting Dillashaw because he's not a champion and is trying to cut the line by moving divisions. The UFC released the final episode of Embedded heading into tonight's PPV. Michael Chiesa reportedly said, "If that’s as hard as he hits, he’s in big trouble when we meet" after his physical confrontation with Kevin Lee at yesterday's UFC press conference. Conor McGregor posted a photo with his newborn son, calling him the "undisputed nine pound champion of the world." Pro Wrestling Tees is now carrying our latest line of F4W shirts. Support the Empire~! Grab yours today!